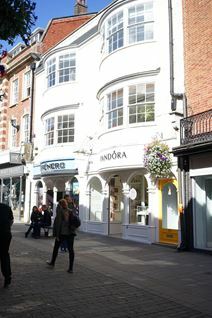 A six storey Winchester property available to let as a single entity, or on an individual floor basis. The majority of the accommodation is open plan. There is an on-site car park. Located a short walk to the city centre's main shopping district, and railway station, for services to London Waterloo. Well placed for the road network around the city, with fast access to the M3, A31 and A34. This inspirational and unique office space has a great high street location that is only an hour from London by train. The modern office space is provided on two-month agreements allowing you to move into larger or smaller spaces as required. This office facilty is situated next to the M3, with direct access into Southampton and its airport. 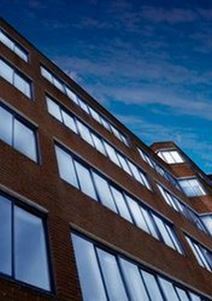 The centre provides modern office suites of up to 500 sq ft on flexible terms. Offering management, car parking and reception, these spaces are available for immediate occupation. 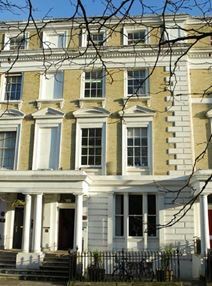 This historical building offers first-class offices elegantly furnished and sophisticatedly decorated. These offices are provided with a full range of services and facilities, including reception area, secretarial services, kitchen facilities, copy and printing facilities, 24/7 access, high speed internet connection, maintenance and support services, to offer you a highly efficient working environment. Located in the heart of Winchester, the building enjoys a worderful view of the city and the country-side and is surrounded by the major attraction of the city. This new business centre provides high quality office space with a comprehensive range of optional business support services. There is a reception area, meeting rooms and round the clock access. The centre is in the Winnall area of Winchester, with easy access to the city centre and rail station, for London Waterloo. Located close to junction 9 of the M3 motorway. This newly built business centre offers high quality accommodation. Situated in the Winnall area of Winchester, with easy access to the city centre and rail station, for services to London Waterloo. Conveniently located for an excellent network of road connections, being close to junction 9 of the M3, the A34 and the A31.